It is the world’s most consumed and used vegetable oil, yet it has come under more intense scrutiny and has been criticized more than any other type of oils and fats. What is it about palm oil that draws such flak? At the International Palm Oil Sustainability Conference held recently in Kota Kinabalu, participants and speakers attempted to sort through the sometimes emotional reactions this agricultural product elicits with an exchange of differences and misgivings, shared perspectives and clarifications. In his opening address at the conference, Malaysian Palm Oil Council chairman Lee Yeow Chor said that Malaysia is at the forefront of sustainable palm oil production. Malaysia has attempted to address repeated criticisms ― particularly from international NGOs ― about everything from environmental degradation to labor issues in the palm oil industry by rallying local growers to comply with international standards such as the Roundtable for Sustainable Palm Oil and International Sustainability & Carbon Certification. This is on top of local regulation imposed by many Malaysian laws, such as those for housing, pesticide use and waste management. “We are constantly seeking to increase our sustainability performance and good agricultural practices, and improve the industry. “In fact, palm oil is the first and the only vegetable oil with a globalized sustainability certification, and our players are proactive in meeting requirements laid out in the standards. “For an industry to have been around for the last 50 years is testament to its sustainability. The road ahead is not going to be easy but I believe we can achieve more milestones,” Lee said. 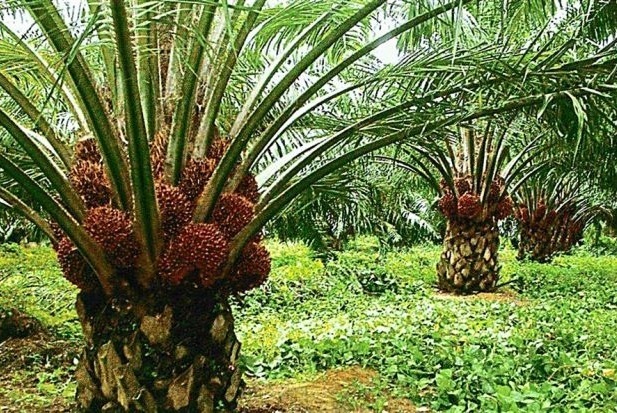 Lee said palm oil remains an affordable food commodity, supplying about 30 percent of the world’s oils and fats production while its two nearest competitors, soybean and rapeseed oils, supply about 23 percent and 13 percent respectively. According to a 2013 paper by Oil World, an independent forecasting body, other oils include sunflower oil at 7.3 percent, coconut and palm kernel oils at 5.1 percent and others, including animal fat, at 22.6 percent. Lee feels that palm oil’s increasingly commanding position and high-yield contribution is one reason it has been targeted extensively, and sometimes unfairly, in negative media reports and policy-making sessions. He added that some of the biggest critics of the palm oil industry chose not to attend the conference despite being invited. Malaysian Palm Oil Council chief executive officer Dr. Yusof Basiron also pointed out that compared to the criticism leveled against developing countries, there isn’t such widespread condemnation of deforestation in developed countries.